This is part two of a three-part series on LinkedIn for B2B businesses. See part one, LinkedIn for B2B: Getting Started, and part three, 10 Ways to Gain LinkedIn Followers. 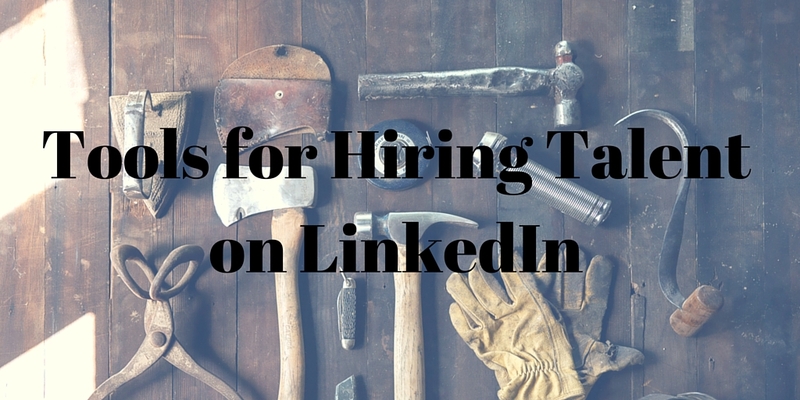 Use these tools to help you hire talent through LinkedIn. LinkedIn offers immeasurable opportunity for recruiting premium talent. But how do you begin weeding through the network’s more-than-433-million candidates? Here are some techniques — both free and fee-based — on using LinkedIn to find professionals who match your company’s open positions. Just as you would share other content, click “Share an update” on the company page Home tab. If you only want a specific audience to see your post, click the “Share with” menu bar just below the update box, and then click “Targeted audience” to define. You can include a link to the job description on your company website or direct applicants to more information on how to apply. If you have posted a job through the LinkedIn Jobs feature, go to the job page and click the share arrow next to the job title to share as an update. Encourage your employees to post the news of the open position to spread the word. Jobs that employees share get 30% more applications! Share the LinkedIn job post. If you have posted the job through the LinkedIn Post Jobs feature, individuals can share it with their networks (on LinkedIn and elsewhere) by clicking the share arrow next to the job title on the job page. Share your company update about the opening. Employees can locate the company update about the job opening by navigating to your company page and scanning through your newsfeed. Once located, click “Share” at the bottom.  Your company name and a link to your company page will appear prominently at the top of their share. Share the link to the page on your website with the job description/application. Users can copy and paste the link into the “Share an update” box on the LinkedIn homepage, or use the social share icons (if available) on your website to post it to their newsfeeds. LinkedIn’s Groups offer a forum for like-minded professionals to discuss current events, industry trends, and other topics related to work life. If you actively participate in these conversations, certain users may have made an impression on you through their insights or informed opinions. You may have even thought that your company could benefit from that person’s knowledge and experience. That’s because Groups are a great source for mining talent. Say, for example, you notice someone offering an intelligent perspective on emerging technologies in a data warehousing group discussion. It reminds you of an open position with your company. You can use the discussion to further engage with that person about the topic to gain a better understanding of his/her knowledge. And then you can view the user’s profile to learn more about related experience. Connecting with the person will give you further insight into his/her professional interests — and it will allow you to send an InMail with information about the potential fit within your company. While searching by skills is no longer free, you can still conduct an “Advanced People Search.” Click on “Advanced” next to the Search box above the navigation bar at the top of the site. This allows you to search by location, current and past company, industry, school, title, language, and keywords (e.g., finance, strategy, accounting). Users who are interested in working for your company can follow this showcase page specifically to keep abreast of opportunities that match their interests. Keep them engaged by sharing company updates related to job openings, company culture, and employee testimonials. One of the four tabs on your company page, the career page facilitates your interaction with job seekers. This is your employer brand hub, where users will go when they view your jobs or want to learn more about working for your company. You can feature your LinkedIn Job Posts, multimedia (like a video or SlideShare), and employee testimonials. What’s more, you can create dynamic content so that visitors to your page receive personalized messaging and job recommendations based on their location, industry, function, and more. If you’ve purchased a Silver or Gold Career Page, featured jobs will be displayed on a Careers tab and they will be targeted to the viewer based on relevance to their LinkedIn profile. This is similar to job targeting on the LinkedIn Jobs page, but it only displays jobs at your company. Learn more about optimizing your LinkedIn company page with our Visual Guide to Creating the Perfect LinkedIn Company Page. If your company only has the occasional opening to fill, Post Jobs may be your best option. Individual users can purchase 30-day job postings and then link them to a company page. Here’s how it works: You create a job posting, making sure to select the correct company name from the dropdown menu. The company logo and link to the company page will be included in the post, and it will appear on the list of jobs on the company page. LinkedIn will automatically advertise your job posting to LinkedIn members with profiles that match, even if they aren’t active job seekers. Ideal for those with frequently open positions or multiple roles to fill, Job Slots are essentially recurring job posts with additional benefits. LinkedIn will automatically recommend job posts to candidates who match your open positions. And you’ll have access to management tools to review and filter candidates, take notes, and send InMail. 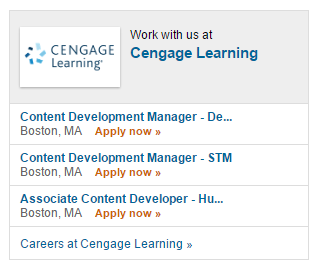 Additionally, you can take advantage of the Feature Jobs on the homepage and on your company’s Career Page. LinkedIn Recruiter is the premium talent-recruitment subscription, ideal for large companies that hire for multiple positions year round. Firstly, it gives you access to the names and profiles of all 433+ million LinkedIn users. You can also send anyone messages through InMail, and you can take advantage of custom templates for candidate communications. Recruiter allows you to use 20+ additional filters (years of experience, seniority, function, etc.) when searching for candidates. 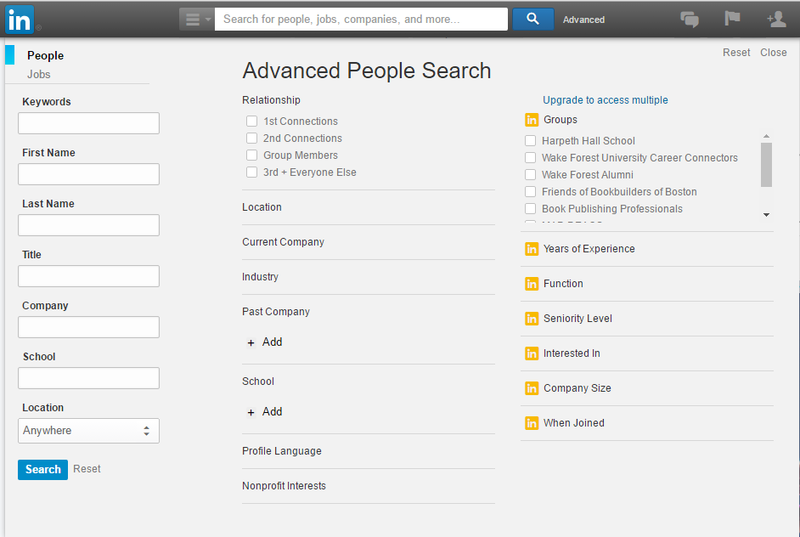 And the “Find more people like” feature lets you search for people similar to candidates you already like. You can also save searches and have LinkedIn notify you when someone new meets your qualifications. Additionally, the Talent Pipeline Management tool lets you build, track, and manage talent searches and hiring with folders, reminders and smart to-do lists. You can also streamline your workflow and team activities with shared projects, searches, profiles, and applicant notes. Works with Us Ads dramatically outperform typical banner ads, with up to 50 times higher clickthrough rate. How? Location. Essentially, Work with Us Ads allow you to own all of the ad space on your employee’s profiles and your company pages. LinkedIn will display your open jobs that are relevant to each particular visitor. You can have the ad drive clickthroughs to your jobs, career page, or your website. Referral recommendations match your employees’ first degree connections to the open roles in your applicant tracking system. It suggests connections for the right open roles, helps your employees share jobs, and keeps them up to date through the entire hiring process. Which tools do you use to hire talent through LinkedIn, and which do you find are the most effective for your business?